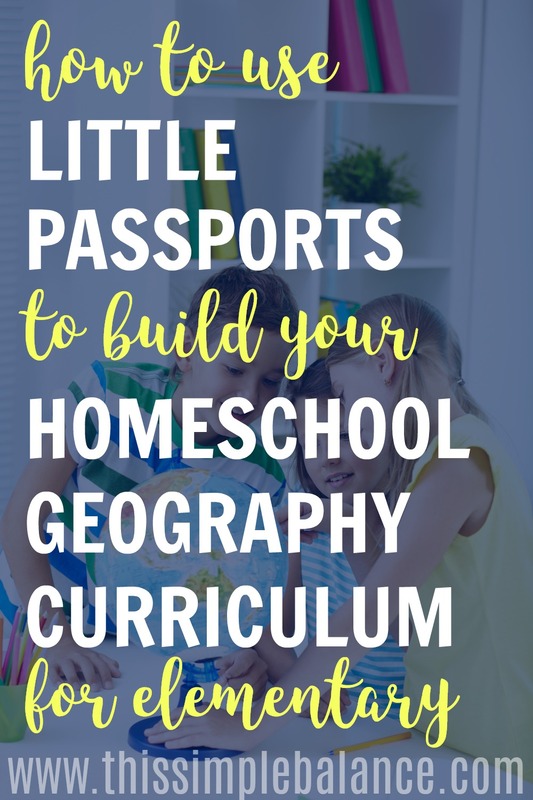 Inside: Learn how to build your homeschool geography curriculum on a Little Passports subscription using the Explore the World Digital Resource Guide. We tried Little Passports for the first time two months ago. My kids loved getting their Little Passports delivery in the mail every month! Because we received three months for free in exchange for a review, I had some time to evaluate whether or not we wanted to renew our Little Passports subscription. I decided not only to renew for a whole year, but also to build our entire homeschool geography curriculum around Little Passports this year. On its own, I couldn’t justify the expense, but another digital resource guide I already own pairs perfectly with Little Passports. 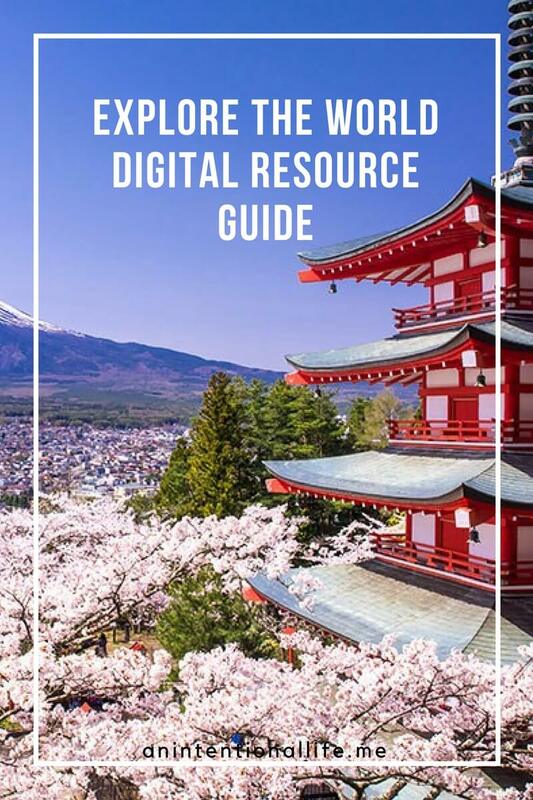 Explore the World Digital Resource Guide from Intentional Homeschooling contains a carefully curated list of resources for more than 30 countries – in my opinion, it’s the perfect companion to Little Passports! Under each country, you will find a book list, relevant video content and online geography games, digital tours of monuments and landmarks, and relevant drawing tutorials. 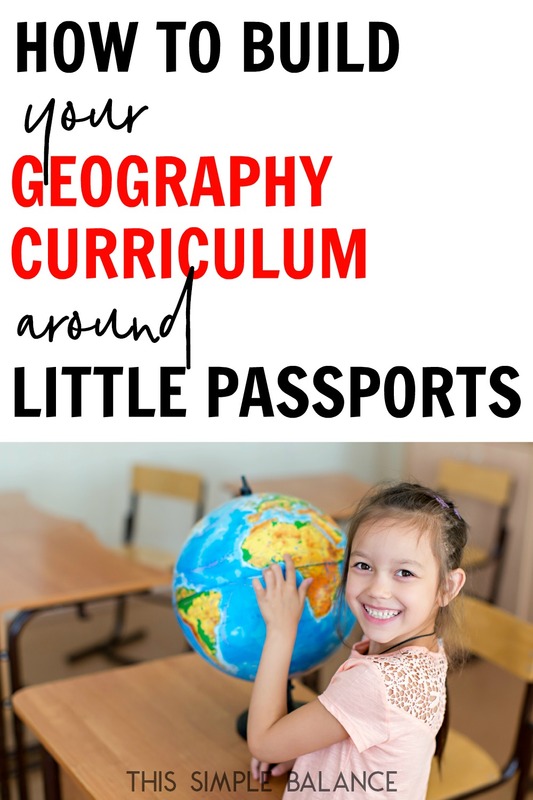 Here’s how we are using Explore the World in conjunction with Little Passports for elementary homeschool geography this year. I base our geography studies for the month on the Little Passports box coming that month. Here is the loose schedule I follow every month. Explore the World provides lengthy book lists for each country. The books are a mixture of picture books and early chapter books. At the beginning of each month, I search our local library and put on hold as many of the books as they have in their system. I also ordered this beautiful map book for kids to have on hand in case our library doesn’t carry many of the books on the list that month. I’m trying to look up books early enough to request that our library purchase any missing books. The books usually arrive 3-5 days later. We pick them up and work our way through the stack over the next couple of weeks. Our Little Passports box arrives. We work our way through the activities as soon as it arrives. We try to watch the additional online content on the same day. Finish up any leftover books. Watch the videos and virtual tours included with Explore the World. Pour over maps of the country. Draw the country’s flag. Basically, whatever sparks our interest. This week we do odds and ends. We might find some prayer points for the country using this book. We will probably peruse the drawing tutorials included with Explore the World. If I’m feeling up to it, we *might* (it’s a pretty big might at this point) find a recipe or buy foods from that country to try. They put together the activities FOR me. They choose the month FOR me. I already own a digital resource guide where someone else did the work to dig up relevant and fantastic content FOR me. Are you catching a theme, here? I try not to make things too hard for myself, and the fewer decisions I have to make, the better. Life as a homeschool mom is challenging (add work from home mom to that, and it’s especially hard): we need something to be easy! The hardest part about this geography curriculum is remembering to put the books on hold from the library (and the annoyance if our library doesn’t have them). We buy very few books and use the library as much as possible. The only drawback is that the Explore the World Digital Resource Guide doesn’t include all the countries Little Passports can send you boxes for…yet. It does cover 10 of the 12 countries you receive in the first year’s Little Passports subscription (along with several others, with new countries being added every month). Update: Brazil (the first box you receive) is now added! 11 of 12 countries are included. To use this method for your homeschool geography studies, you will need both a Little Passports Subscription and the Explore the World Digital Resource Guide. The Resource Guide is one flat cost, but the countries are added over time at no extra charge. When you head to the Little Passports website, you will see several options. We are using the World Edition (for ages 6-10). You can purchase a 3-month, 6-month, or a 12 month subscription. Previous Post: Little Passports Review: Is It Worth $15 a Box?